For nearly a century, the Kingdom of Saudi Arabia has relied on the country's expansive oil reserves to power its economy. The royal family has created a new plan called "Vision 2030", which provides a blueprint for modernising cities across the kingdom. As part of this plan, the country says it hopes to build a Hyperloop, a massive, high-speed pneumatic transit system that would travel between several cities in Saudi Arabia and the UAE. On Monday, Virgin Hyperloop One (one Los Angeles-based company that's developing the technology) and Saudi Crown Prince Mohammed bin Salman unveiled a prototype of a Hyperloop pod for the project. If realised, the system would dramatically change how residents move around in Saudi and UAE cities. According to Virgin Hyperloop One, its pod would shrink hourlong commutes to mere minutes. Saudi Arabia's Hyperloop would connect several cities in the Middle East, including Dubai, Riyadh, Jeddah, and Abu Dhabi. A trip from Riyadh to Jeddah - which currently takes over 10 hours - would last just 76 minutes. Going from Riyadh to Abu Dhabi - currently over 8.5 hours - would take 48 minutes. Passengers would hail a pod using an app, which would list when the vehicle will arrive at the specified gate (similar to an airport). Virgin Hyperloop One says there would be 120 pod gates accommodating over 8,500 passengers per hour. Virgin Hyperloop One is trialing its system on its test track, called DevLoop, in Nevada, north of Las Vegas. In December 2017, the team successfully tested a full-scale system on DevLoop. The vehicle reached a top speed of 240 mph (385 km/h). The first Hyperloop in an actual city is still a moonshot project. While cities have long used pneumatic tube systems to deliver small parcels, transporting people raises major engineering and cost challenges. Elon Musk is credited with popularising the idea for a modern Hyperloop, and his tunnelling startup (The Boring Company) is working on its own system. In July 2017, Musk tweeted that he received "verbal governmental approval" for Boring Company to build an underground Hyperloop system connecting major cities in the northeast US. However, Boring is still billions of dollars and years away from building its first official tunnel. In LA, California's Environmental Quality Act regulates big construction projects, and Curbed reports that the review process alone could take at least three to four years. Virgin Hyperloop One and the Saudi government believe that hyperloop transportation would stimulate economic growth, diversify the country's industries, nurture manufacturing and tech sectors, and spur job growth in the region. 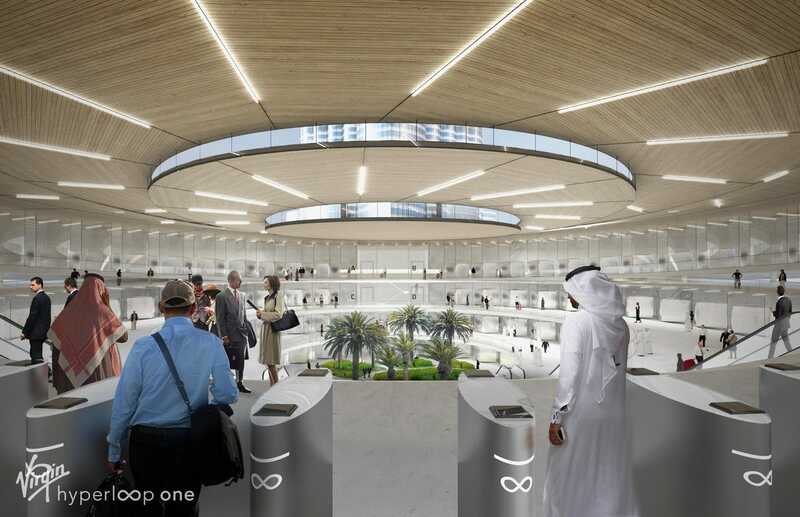 "Today's visit and discussions kick off the next phase that will make Virgin Hyperloop One a reality in the Kingdom of Saudi Arabia," the company's CEO, Rob Lloyd, said in a statement published April 2.